These days most of us are in search of fat burners that can help us lose that unwanted belly and fats that we all hate. 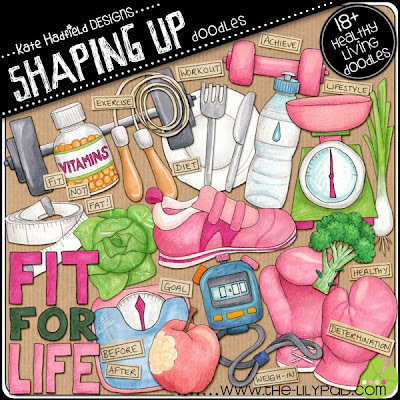 If you are dieting or trying to maintain your good weight, here's a perfect doodles FIT FOR LIFE from Kate Hadfield where you can scrap all your before and after pics of your weight. Perfect for those who are documenting their weight loss journey.